A fully featured terminal emulator application that can connect to remote SSH and Telnet servers. Interactive applications such as Midnight Commander are fully supported. In addition to the basic functionality, it can save your terminal screen as an HTML or image file (check out the ANSI convertor sample for list of available formats). 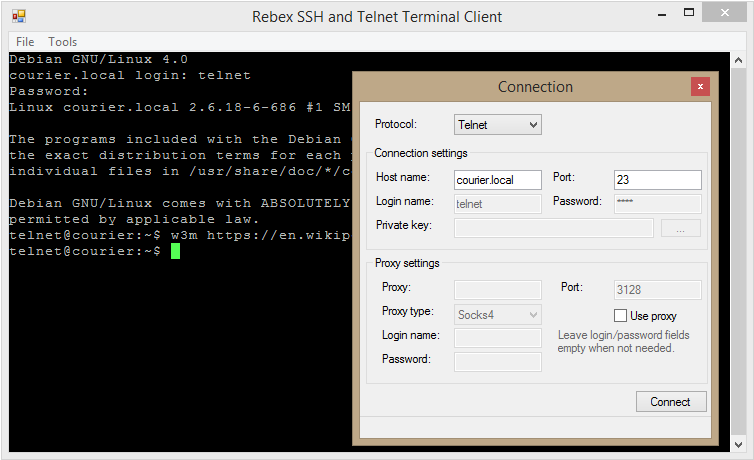 Terminal emulation using TerminalControl, Ssh and Telnet classes. Capturing the terminal screen into numerous formats. Resizing the terminal screen and handling the RemoteResize event.